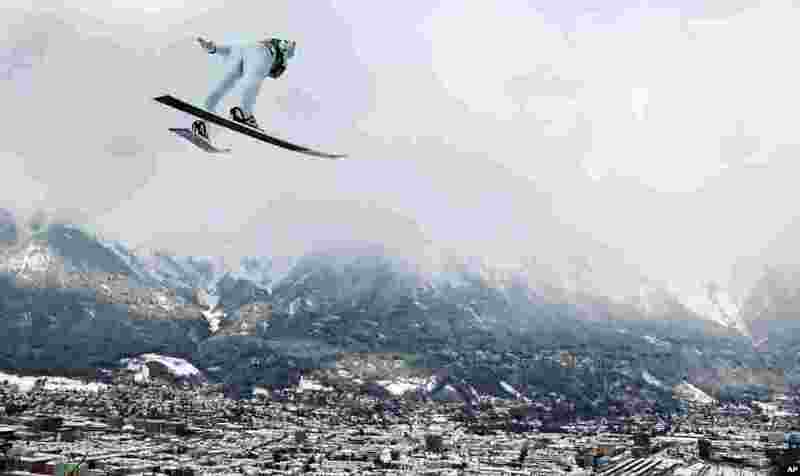 1 Austria's Markus Schiffner soars through the air during a trial jump at the third stage of the 67th four hills ski jumping tournament in Innsbruck, Austria. 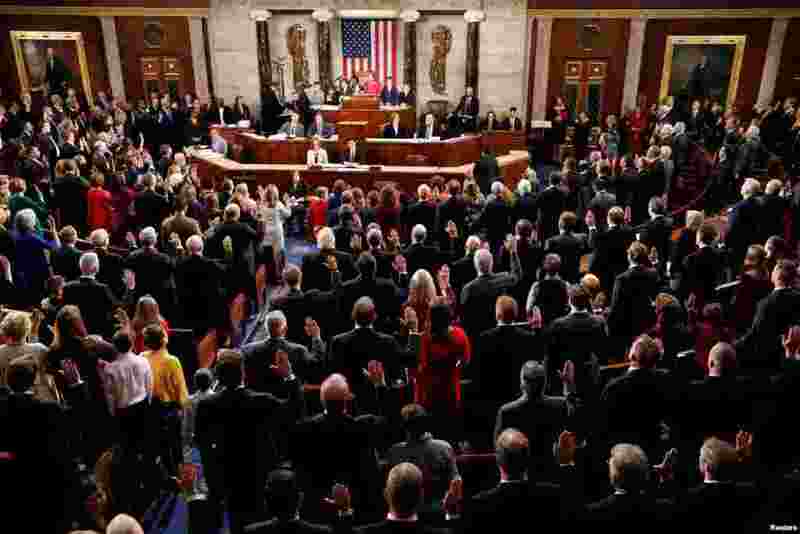 2 House Speaker Nancy Pelosi (D-CA) administers the oath of office to House members and delegates of the House of Representatives at the start of the 116th Congress inside the House Chamber on Capitol Hill in Washington. 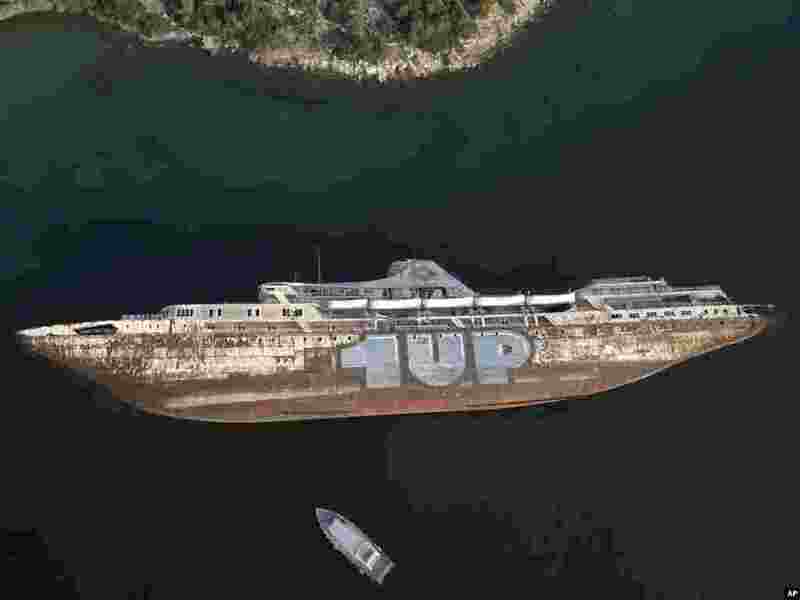 3 A half sunken cruise ship on its side can be seen in the Gulf of Elefsina, west of Athens. Dozens of abandoned cargo and passenger ships are semi-submerged or completely sunken around the Gulf of Elefsina, near Greece’s major port of Piraeus. 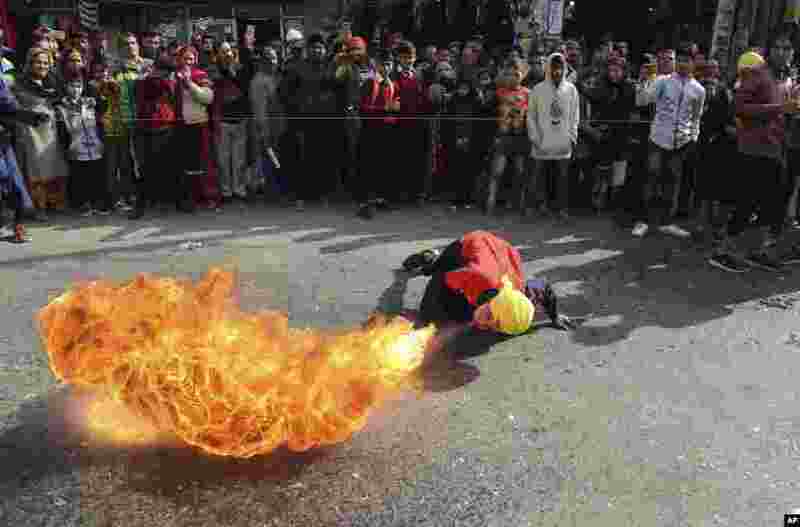 4 An Indian Sikh warrior blows fire as he displays traditional martial art skills during a religious procession.